How much do you want to spend each month ? Where do you use your phone the most ? What is your data usage ? What type of plan do you prefer ? We’ve developed a simple, quick, easy and accurate tool to help you while you’re on our site. It’s designed to help you find a SIM plan which is right for you. Enter some basic information about what you’re after and you’ll see a list of results. The key things which will influence whether a plan is right for you can be broken in to 4 areas. Cost is the most significant thing which has a bearing on the plan. Coverage comes after that. Good coverage costs. The broader the network, the more you’ll pay for access. 3G or 4G data requirements on your phone also make a huge difference. If you’ve got a 3G phone, your plan will be cheaper. And if you know what you need – prepaid or postpaid – enter that too. The results will be a list of plans sorted so they start with what’s most relevant to you. Finding a SIM Only plan is relatively simple. Compared to pulling apart the contract plans, SIM Only plans are a breeze. Contract plans have different inclusions and commitments. They have to. Those are required to get an iPhone or Galaxy phone under contract. Next to that, reviewing SIM Only and prepaid plans is easy. We have tied together the simple questions, you need to answer in our Solution Chooser. In fact, they’re not even all compulsory ! These are questions to which you are likely to know the answer. Simply answer as many of them as you can and we will give you a recommended plan. Simple, quick, easy and accurate: We’ve designed the Solution Chooser to be as easy as counting to four. The solution chooser is designed to be simple and effective at shortcutting your search for a plan. The Solution Chooser lists big and small phone companies alongside each other. Small phone companies often offer better value than larger phone companies. Unfortunately, you may not have heard of all of the smaller phone companies that we show you. Their marketing budgets are not as sizable as those provided to Optus, Telstra and Vodafone. In our Solution Chooser, you’ll see them side by side. This makes it easier to see who has the best inclusions in their price plans and which phone company meets your needs best. Just search for a review of the smaller company if you don’t know it. We have pulled them apart in separate articles. Our Solution Chooser works using an algorithm ( formula ) which reflects the importance of your choices AND our own recommendations. We’ve worked in the industry for a long time and with even a few details, we can narrow down the range for you substantially. We’ve designed the Solution Chooser to be as easy as counting to four. Wherever you are, at home or out and about, you’ll be able to use the Solution Chooser. If you’re on a mobile device and you want to click through to see one of our partners’ plans, you’ll be offered the option of emailing yourself the plan details. It’s often easier to concentrate on the specifics of what you’re buying, in a quiet moment at home. The email lets you do that later. We may use what’s on these pages to make more relevant what you see elsewhere on the site. For example, if you tell us you have a 3G phone, we’ll make sure we show you 3G plans everywhere, first. It’ll help you find the right products for you more easily. It couldn’t be simpler to use the Solution Finder. Here’s how. Move down the list of questions. Focus on each in turn. Select the answer about what it is you want from your plan. You can make an entry using your mouse or finger. Let us know what you’d like to spend, whether you’re after a 3G or a 4G phone, where you think you’ll use your phone service most and whether prepaid or postpaid makes a difference to you. When you get to the results, this is what you’ll see. Once you initiate the search using the criteria you’ve specified in our Solution Chooser, you’ll quickly see a list of results. The results you see have all been prioritized by how closely they match your criteria. We often have favorite or sponsored plans. Where these are, in our view, good value for our visitors, we will show them in a spot on the Solution Finder page. Sponsored listings will be clearly identified and labeled on the Solution Chooser. We have added extra weight to the plans our visitors buy the most of the time. Our goal is to shorten the time it takes you to find the right plan. This kind of ‘Social Proof’ is one of the most useful ways we can cut down such a large range of plans. The Solution Chooser is just one way you can find the best plan for you. You will be surprised at what you can get for your money. This is especially true if you are coming from a larger phone company. Our advice is to start looking for a plan under $30. You can ‘start again’ whenever you want. Work up in expense if you can’t find a plan which suits your needs. And remember, we have dedicated pages if, at any stage, you would prefer to see a shortlist. For example, you might like to see all our unlimited plans or, if your budget is tiny, to see our cheap plans. Finding the right plan is often primarily about finding a balance between coverage and cost. There is nothing more personal than coverage. National statistics on the proportion of people that your phone company provide a service to can be useful. However, if they cover 99.9% of people but you don’t get a signal at home, that’s not much use! Like everyone, you want coverage when you need it. But don’t pay for what you won’t use. Consider where you live, work, spend recreational time and where your friends and family are located. How often do you travel out of cities ? You should also check the coverage information of the phone company you’re going to before you sign up. You can find links to them on our coverage page. Finding the right plan is often primarily about finding a balance between coverage and cost. Coverage is so important in this decision making process, we’ve got a dedicated page. The first thing people check in the plan they’re considering it how much data it has. These days, data is the primary comparison feature. The first thing people check in the plan they’re considering it how much data it has. If you have a 3G phone, get a 3G SIM. The alternative (a 4G SIM) won’t help you anyway. You’re paying for a service you can’t use! It’s worth noticing that phone plans from all the major phone companies – Vodafone, Optus and Vodafone, charge users for 4G speeds, whether or not their phone supports those! 73% of people have a smartphone. 4G phones use more data. Not every cost is authorized by the user before it’s added to their account. This is obviously, a key criticism of postpaid plans. The other key question is whether the service which is right for you is a prepaid or a postpaid plan. A prepaid plan is one for which you pay in advance. First, you buy a starter SIM and recharge to ‘top up’ your service. Then you use the service – the calls, SMSs and data you need. Prepaid plans offer predictable costs (you’ll never get bill shock) but can they can be inconvenient. When your credit runs out, recharging manually can be a headache. Especially if it happens at the wrong time. A postpaid plan is one for which you pay after you’ve used the service. That means that, unfortunately, if you want one, you’ll have to go through a credit check. Once you’ve got your postpaid SIM, you will use the service. You pay retrospectively, at the end of the month. Postpaid plans are convenient but they can surprise users with large bills they weren’t expecting. Not every cost is authorized by the user before it’s added to the account. This is obviously, a key criticism of this type of plan. This is an important question to many people. We have written about it separately : Prepaid vs Postpaid vs Month to Month. What to do if you’re not sure….. Remember, almost all of these agreements are single month term. You can change very quickly if you pick one you don’t like. If you don’t know how to answer one of the questions you’re asked in the Solution Chooser, don’t worry about it. You can’t break anything! There’s no cost to use it ! Try searching again and again until you find something you like. Check out our reviews section for more information on each provider. Just because the pricing is right, doesn’t mean everything about the provider is perfect. If there’s anything you need to know about the partner, good or bad, our reviews will tell you. If you’ve got a 3G phone, across the range of plans, there are some clear winners. We recommend that you pay close attention to Lebara and Woolworths if you have a 3G phone. Similarly, if you have one of the latest 4G phones, pay close attention to Boost and Amaysim. They offer 4G services on the Telstra Mobile and Optus networks. Remember, almost all of these agreements are single month term. You can change very quickly if you pick one you don’t like. Try a new phone company. They might surprise you. We think this is most useful way we can show you plans that are relevant to you. As well as the answer you wanted, we answer the questions you’d have asked if you’d have known what to ask! Just plans which are right for some people and not right for others. Our points system means you’ll see a broad range of plans which might be right for you, starting with a list which are most likely to be right for you. Consider taking a SIM from a new one. You can’t go wrong if you’re only taking a single month agreement. 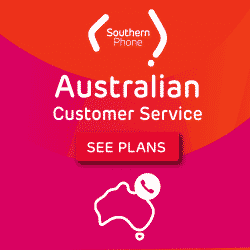 If, for example, you chose a city based plan without realizing that Telstra resellers can offer both a better plan rate and better coverage, we’ll show you better options. It may appear that there is too much choice out there, but actually, there are some clear winners available to you. This Solution Chooser should help you find them. Of all our tips, these are the critical things to remember. Their inclusions, especially data inclusions are not as good as the smaller phone companies you’ll see. We recommend that you plug all the information you are sure of in to the Solution Finder. But also have a play with what you enter and see what else comes up. MVNOs / smaller phone companies are a huge and growing part of the SIM Only market. They’re growing for good reason. They offer the best value. Use our resources to verify the quality of any new providers you’re considering.